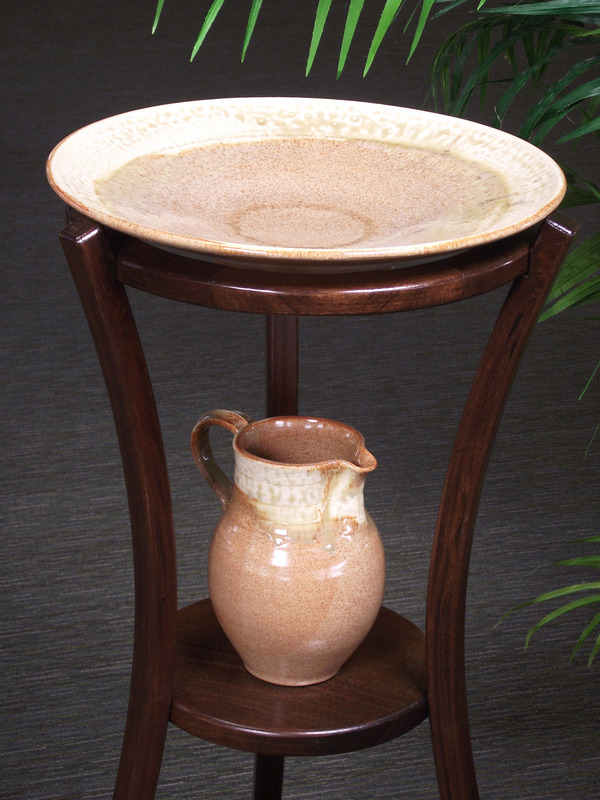 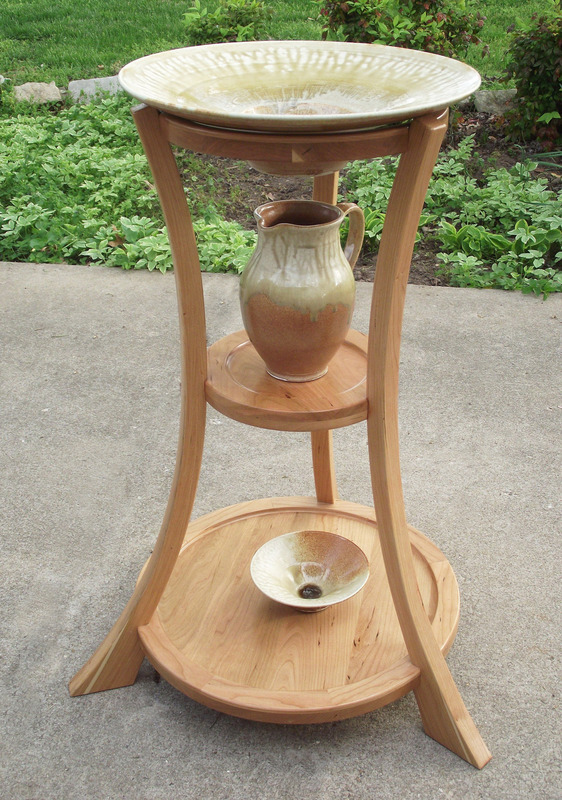 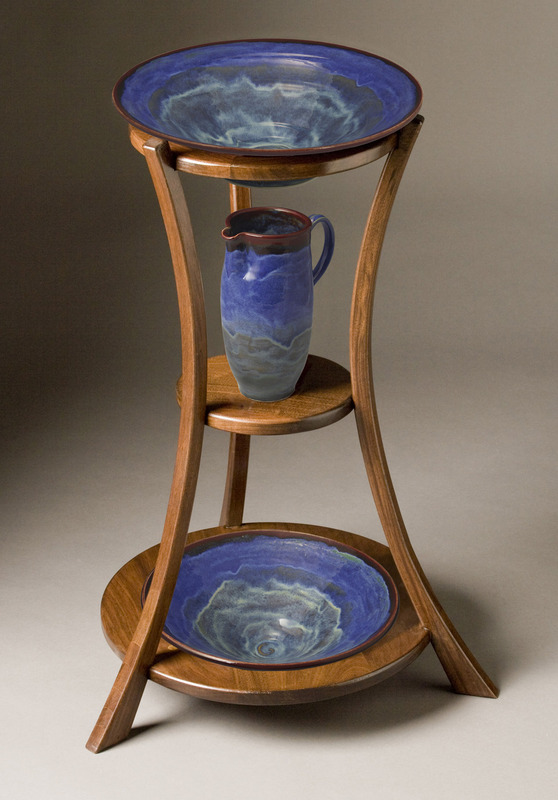 Buy Contemporary Baptismal Font Stand Sets From Faith Vessels Pottery For Worship! 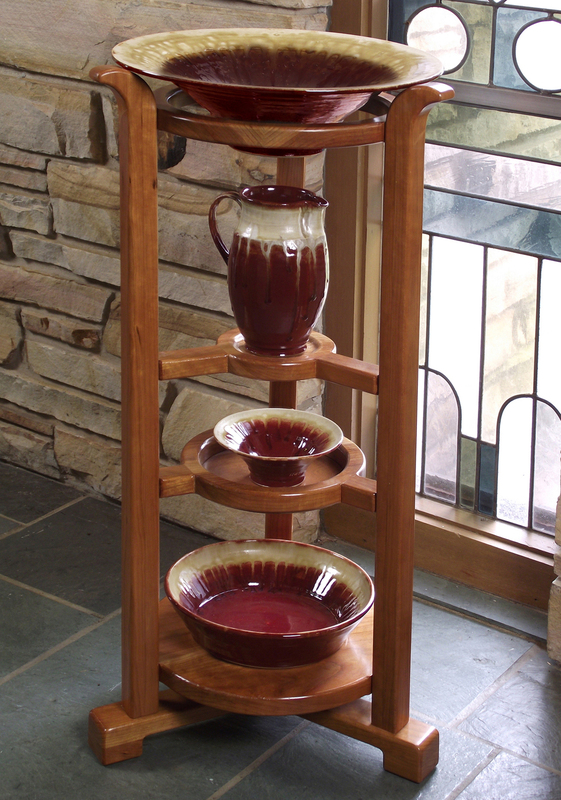 Choose From Unique Stands And Durable Wheel Thrown Porcelain Pottery Made In North Carolina, USA. 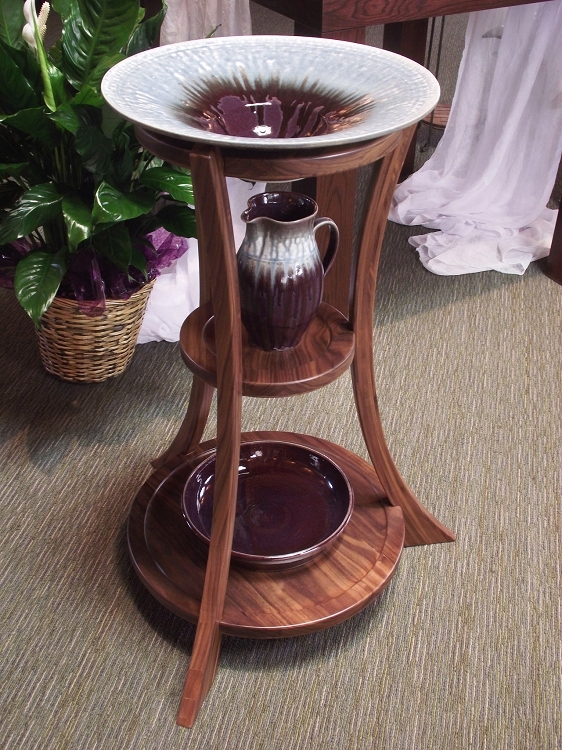 Our most popular stand, the Eternal Waters Baptismal Font Stand Set features a contemporary sweeping design. 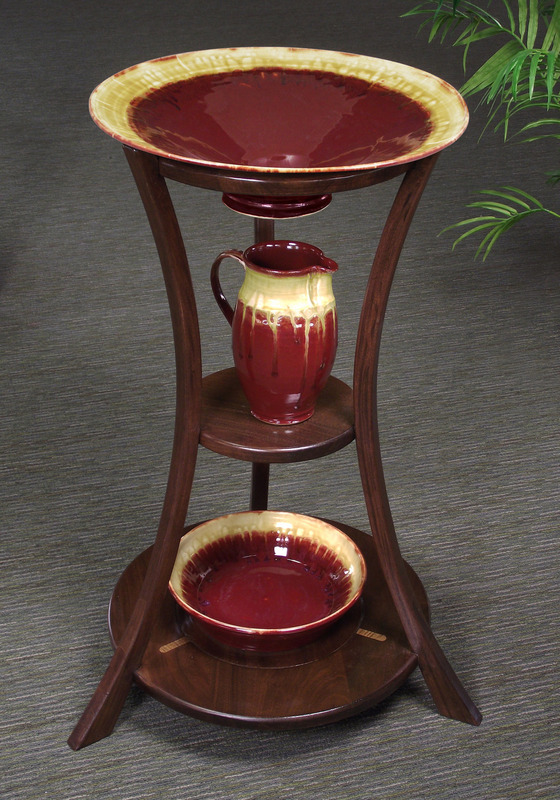 It includes two shelves for a porcelain pottery pitcher and foot washing bowl, as well as a ring at the top that firmly supports our standard size baptismal font bowl.